Save money and support local businesses at the same time! 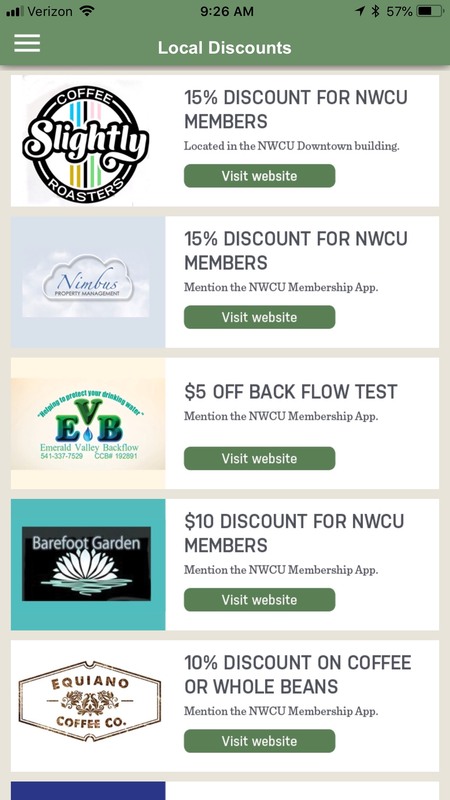 NWCU’s Member Benefits App is a new smartphone app that connects our members with our member businesses, giving you exclusive discounts. You can also access applications for auto loans, home loans, and credit cards. 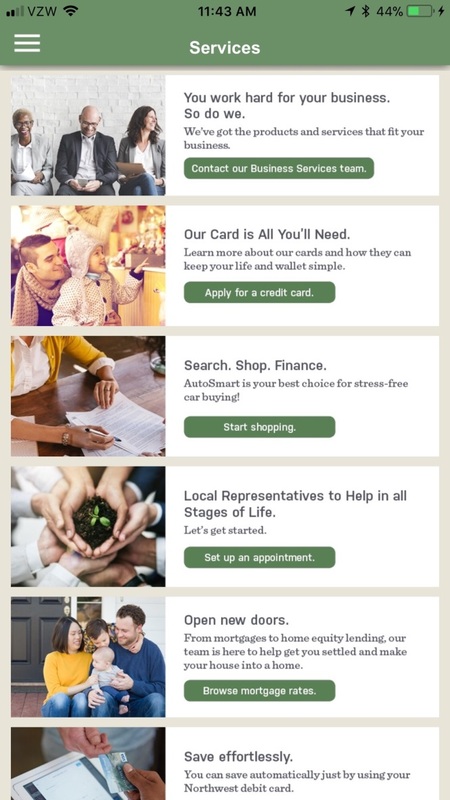 The app allows you to set up appointments with Financial Advisors, too! When you download the app and enroll in eStatements, you'll get $10! Upon accessing the application, you will be prompted to enroll in eStatements. If you have not already enrolled in this service, you’ll receive $10* in your Regular Share account within three (3) business days for choosing to enroll. Note: Only primary account owners will receive this notification. Any member can use the app! The NWCU Benefits app is available in the App Store and Google Play store. The Local Discounts or Promotions screen shows you the discounts currently available to NWCU members from NWCU member businesses. Check often to see new discounts available! Tapping on an ad connects you to the business’ website for more information about their products and services. 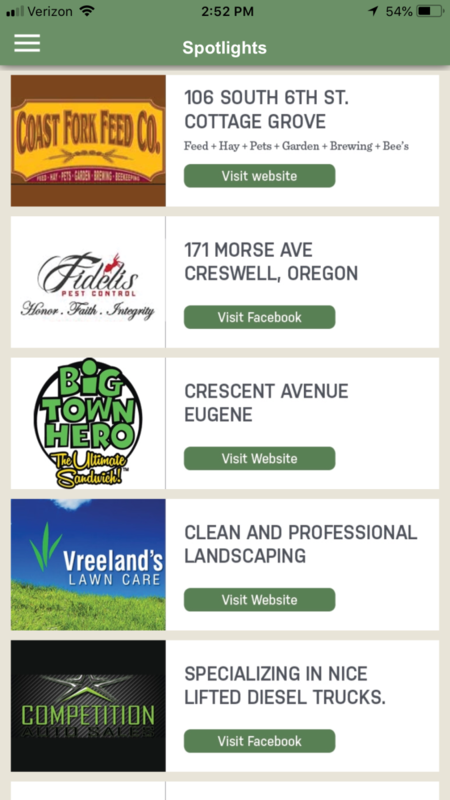 The Business Spotlight screen highlights businesses that furnish services and goods in the area, along with links to their website or Facebook page. The NWCU Member Benefits App is built with the same security as our CardValet and eBanking mobile apps. No personal data is collected, as it is only intended to advertise our NWCU business members. No personal data will be shared with our NWCU business members; the only data collected by our business members will be the clicks received per month on their specific ad. *Only one enrollment will earn $10. We may report this $10 to the IRS and any applicable taxes are the responsibility of the member.